The Former Hospital Site Project is about working with community partners to create a vibrant new community centre, neighbourhood park, future residential area and seniors-oriented housing district to meet the needs of Oakville residents. Check out the Council-endorsed master plan (pdf). Redevelopment of the former hospital lands is being rolled out in phases with the building of the Southeast Community Centre (SECC) and neighbourhood park as a first priority. On September 26, 2018, the town officially broke ground on the site, marking the end of the demolition phase of the hospital and kicking off the construction phase for the new recreation facility expected to open in fall 2020. Visit the Southeast Community Centre and Neighbourhood Park page for regular construction updates. Visit the Demolition and Remediation page to check out our official time-lapse video of the former hospital demolition and witness 10 months of deconstruction in just 2 minutes! On July 25, 2018, the town issued a Request for Proposal (RFP) for the sale of the future residential subdivision lands on the former hospital site that sees 19 single detached dwelling lots fronting onto Macdonald Road and Allan Street as well as 16 townhouse lots internal to the site. The RFP closed September 5, 2018. At the September 24, 2018 Council meeting, Council did not accept the results of the RFP because they did not meet the town’s expectations for the site. Staff were directed to terminate the RFP and bring the property back to market at a later date. Staff’s next steps will be to revise the RFP with an expectation that the RFP would be retendered in 2019. Also in July 2018, the town issued an Expression of Interest (EOI) to develop the seniors oriented housing block within the former hospital lands as per the Town Council-approved Master Plan. An EOI is used to solicit information only from interested respondents and does not constitute a solicitation for bids. 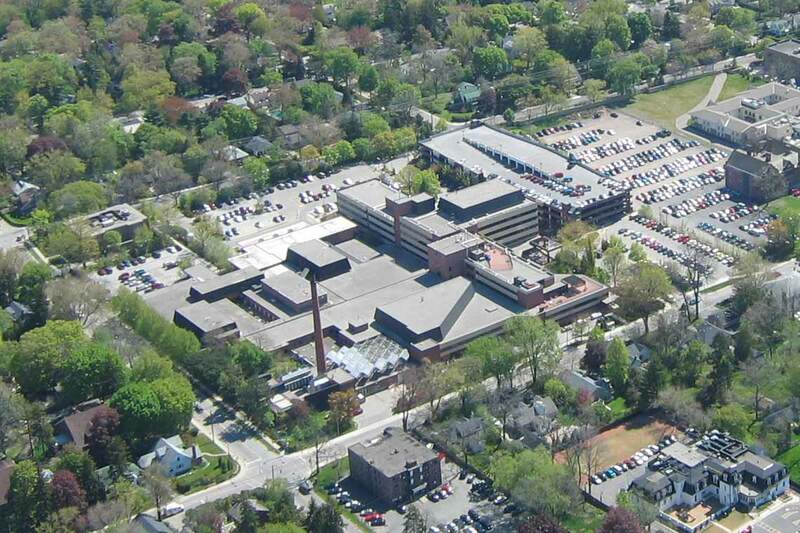 With this EOI, the town was simply seeking creative ideas, solutions, designs and development models for seniors oriented housing that may include the re-purposing of the former Oakville Trafalgar High School (OTHS) building and incorporates the publicly accessible civic square with pedestrian connections to the community centre and park. The EOI closed on September 12, 2018 and submissions received will provide staff with direction and insight on how to proceed with a Request for Proposal (RFP) for development models for seniors oriented housing on the site. An RFP is anticipated to be issued in 2019. On July 9, 2018 Council approved the Draft Plan of Subdivision and gave staff the go-ahead to issue a Request for Proposal (an RFP) for the sale of these future residential subdivision lands. Review the staff report on the July 9 Planning and Development Council agenda, item 9 and the July 9 Council agenda addendum, item 10. On May 14, 2018 at 7 p.m., a Statutory Public Meeting for the Draft Plan of Subdivision was held as part of the Planning and Development Council meeting. Review the public notice and the development application. You can also review the Staff Report on the May 14 Planning and Development Council agenda, item 2. On April 3, 2018, Council gave staff the go-ahead to take the next steps in the redevelopment of the former hospital site lands, including the design and construction phase of the Southeast Community Centre and neighbourhood park and the Allan Street open space. For more details, visit the Community Centre and Neighbourhood Park page. In February 2018, the town started processing a draft plan of subdivision that would create 19 single detached dwelling unit lots fronting onto Macdonald Road and two blocks of townhouse units (16 units in total) internal to the site. For more details about the draft plan read the Development Application. Visit the Former Hospital Site Future Residential page for additional information. On February 8, 2018 an open house was held to provide residents with an update on the community centre and neighbourhood park planned for the site. December 4, 2017 — Council approved the official plan and zoning amendments for the site allowing the town to implement the master plan. Visit the Former Hospital Site Future Residential page for more details. November 28, 2017 — an open house was held about the preliminary conceptual designs for the community centre and potential uses for the park. October 11, 2017 — Council received proposed official plan and zoning amendments for the two sites. The statutory public meeting to discuss the amendments was held as part of this Planning and Development Council meeting. June 27, 2017 – Council endorsed overall site master plan as well as base funding and amenities for the Southeast Oakville Community Centre that is planned for the site. View the news release for more details or check out the Special Council meeting agenda. May 2, 2017 - Council received three staff reports on the former hospital site project including a financial overview, information on the new Southeast Oakville Community Centre, and proposed options for the overall site master plan. Check out the news release for more details or check out the Special Council Agenda for more information on the May 2 meeting, including staff reports. April 3, 2017 – The Former Hospital Deconstruction Strategy is approved by Council. March 27, 2017 - The Former Hospital Deconstruction Strategy went to Administrative Services Committee. March 8, 2017 - A public consultation session took place to determine what amenities will be included in the community centre. March 1, 2017 - An open house was held to present the demolition strategy for the former hospital and Helen Lawson buildings. December 2016 - An open house held to share information about what’s been done so far, and next steps. April 2016 – The town takes possession of the site. Many in-depth studies of the buildings and the land were completed to better understand the site. These are summarized on the Former Hospital Site Project Demolition and Remediation page. December 1, 2015 - An open house held to share information about what will be happening to the former hospital site over the next five years after the OTMH (Oakville Trafalgar Memorial Hospital) moved to its new location. The former site consists of lands on the south side of Macdonald Road between Reynolds Street and Allan Street. The property includes the existing hospital building and the Wyndham Manor Long Term Care Centre. An overall concept for the redevelopment of the hospital lands including a new community centre, park, potential housing and medical uses was endorsed in principle by Council on April 8, 2013. This concept recognized that a final plan could not be completed until the town took ownership of the site and completed all the required environmental, heritage, building condition and detailed land use studies. The Former Hospital Site Project is about completing this work over five years (2015 to 2020). The development of the community centre and neighbourhood park opening is scheduled for September 2020.
Review previously asked Questions about the site. If you have a question or comment, please contact service@oakville.ca or call 905-845-6601.